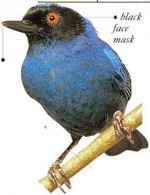 I Jsually seen singly or in pairs, the Purple I loneyereeper is an active, acrobatic, little bird with a long, curved bill, with which it takes nectar from flowers. It also snatches small insects from the leaves and eats fruit, such as berries. This species frequents a variety of wooded habitats, including gardens and secondary woodland (regrown after forest clearance). 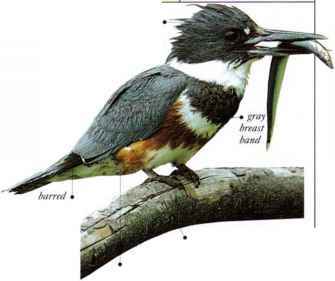 • NKST A small cup nest, placed on a stump or at the end of a branch. 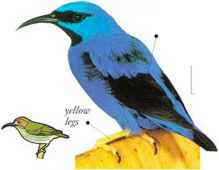 I his nectar-feeding bird pierces the tubular corollas of rain forest flowers with its hooked bill-tip to obtain its food. Other items in the diet are insects and small fruits. It inhabits mountain rain forest, often near the upper altitude limit for trees, and is usually seen in pairs or family groups. These keep mainly to the lower vegetation sometimes rising to the mid-levels. They feed and move about actively, never staying still for more than a second. • NEST A cup-shaped nest made of grass and moss, probably located in a bush or small tree. • DISTRIBIJTION From N. Venezuela to Bolivia.